Summer gets formula everywhere! She’s very slobbery when she eats. It’s probably why feeding time usually attracts the dogs, goats and cow. 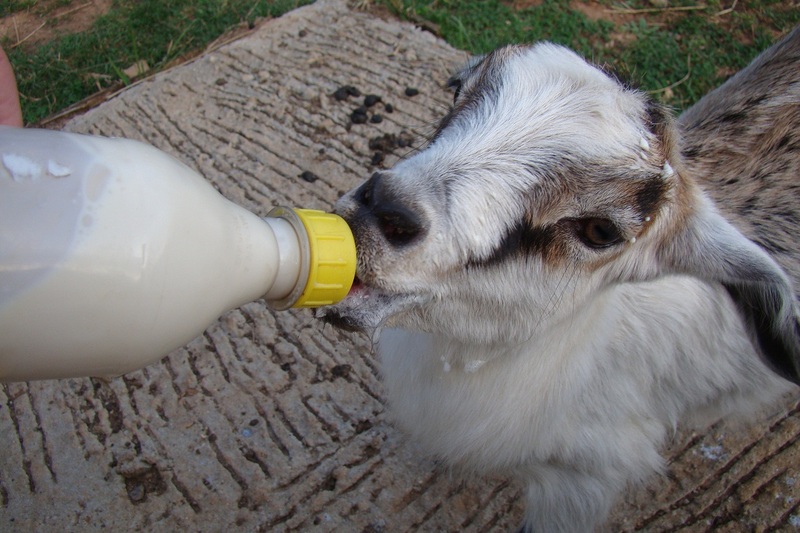 Goat formula smells just like baby formula. I wonder how much difference there is? Summer is such a doll!! I’d kiss that face even if there was goat formula all over it :).